Fluidmaster 1/2" Brass Shank Valve Side Entry is rated 4.6 out of 5 by 58. Rated 5 out of 5 by Multi fix from Great product First one purchased and fitted really good product.Will buy another when needed and recommend. Rated 5 out of 5 by Gdad from Flushed with success Just fitted the fluid master, replacing an old, slow and erratic diaphragm type of cistern valve. Early days yet, but simple to fit and excellent in operation. I would not hesitate to purchase again if necessary. Rated 5 out of 5 by Mikey9962 from Excellent quality product I purchased this item recently to replace an old armitage shanks valve, very easy to install and in my opinion a much better designed product. 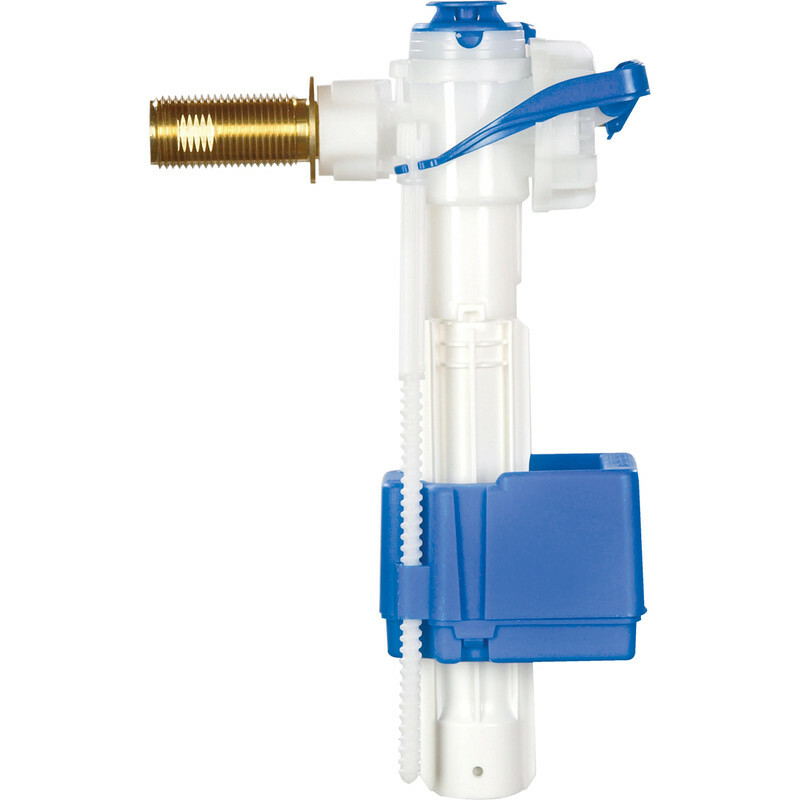 Have used Fluidmaster valve’s in the past and always been impressed with their Product would throughly recommend. Rated 5 out of 5 by artmech2 from Well made Fitted one last month and performing well. Sturdy brass inlet - permits good joint dis/reconnections. Mechanism is clever, set up instructions are good. Preserve them for future and you have a long life serviceable float valve - diaphragm seals are available. Rated 5 out of 5 by DelB from No more cross threads I bought this to complete my cistern refit. As the old supply valve was cross threaded and leaked. Not anymore. This is the way to go. The valve fills the cistern quickly. Rated 5 out of 5 by brother diyer from Cistern tamed! A set-and-forget cistern tamer!